Accidentally visiting phony and phishing sites will be a serious nightmare for users especially when they realize that their sensitive information such as login name, password, credit card information, bank account details, etc have been stolen or divulged and critical damages have been done. Generally, internet users particularly the non-tech savvy can hardly determine whether a site they are entering is authentic or phony. The fake site basically looks and feels almost identical to the authentic or legitimate one. Users who are not aware or sensitive might easily fall into the trap and get cheated. There are various ways for the criminal syndicate to fool and attract users to visit the phony sites. The phishing process has affected millions of internet users every year even though various public awareness campaigns and activities have been launched. If users are concerned they might become the next victim of this internet criminal fraud, one of the ways users can use is via anti-phishing and identity assurance tool to verify and authenticate the sites. Comodo Verification engine, a free security product from Comodo security series is a useful and database rich program which can help users to distinguish and identify a real website from an impostor. Comodo Verification engine is a free and lightweight security application offered by Comodo which can be downloaded via the link here. The Windows based security software supports various web browsers including Internet Explorer 5.01 and above, AOL 1.1 and above, Netscape 8+ (IE mode), Firefox 1.0.7 and above, Netscape 7.2+ (FF mode) and Mozilla 1.7 and above. 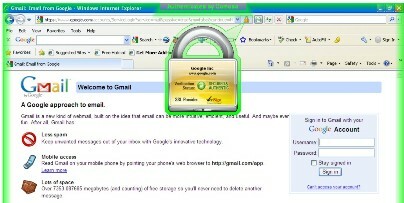 Once users have installed the free anti-phishing software, a small “v” icon will appear on the taskbar. Every time users open a new website, Comodo Verification Engine will immediately check via its database. If the website is legitimate and is in Comodo’s database, users can see the browser’s border glow green and an arrow will point to the site’s verified logo. With this confirmation and verification, it is safe for users to continue with their browsing. If the green border doesn’t appear, users are advised to be more careful when proceeding. Comodo has created a database of over 500,000 legitimate websites with real internet addresses for verification. Comodo Verification engine provides a clear visual indicator about the level of SSL security on a site and warning if a site is using the type of SSL certificate favored by scammers. 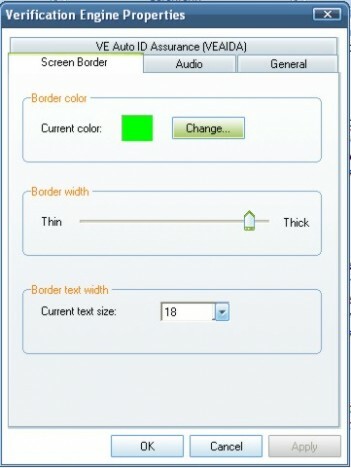 Users can click on the verification engine’s indicator on the taskbar to modify the options such as green border thickness, font size, etc.